An exhibition on the life of Mgr Luigi Vella, better known as Dun Alwiġ Ta’ Savina, is open at the Banca Giuratale, Victoria. Mgr Vella was archdeacon of the Gozo Cathedral and the first rector of Ta’ Savina church. Mgr Vella, who passed away more than 80 years ago, is remembered for being theone who initiated the dailyadoration of the Eucharist atTa’ Savina church, and for his various writings. He wrote various historic novels, including Bernard Dupuo, Nikol Għabdul, Bint il-Ħakem u Isolda – Imħabba ta’ Bint. 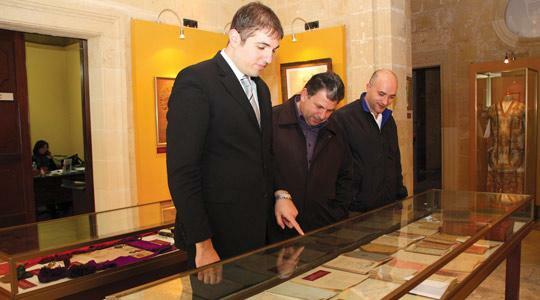 The exhibition includes photos, sacred vestments, medals, manuscripts, books and a plan of Ta’ Savina church. The exhibition, which closes on February 13, is open Monday to Friday from 8 a.m. to 4.30 p.m., Saturdays from 8 to 11.45 a.m. and Sundays from 9 to 11.45 a.m.